Designed for passenger submarines, the Aquabeam submersible navigation light is the only civil submersible navigation light certified for vessels over 12m in length. The Aquabeam submersible navigation light type NAV 24 / 25 complies with the International Maritime Organization's COLREGs for the prevention of collisions at sea. It is tested to 20 bar and its functions include all round light, masthead, port, starboard, stern and towing. Interchangeable angle gates and colour filters allow its application to all relevant functions and the lantern accommodates a standard navigation light source. Each lamphead is individually pressure tested to 20 bar, 24 volt operation. 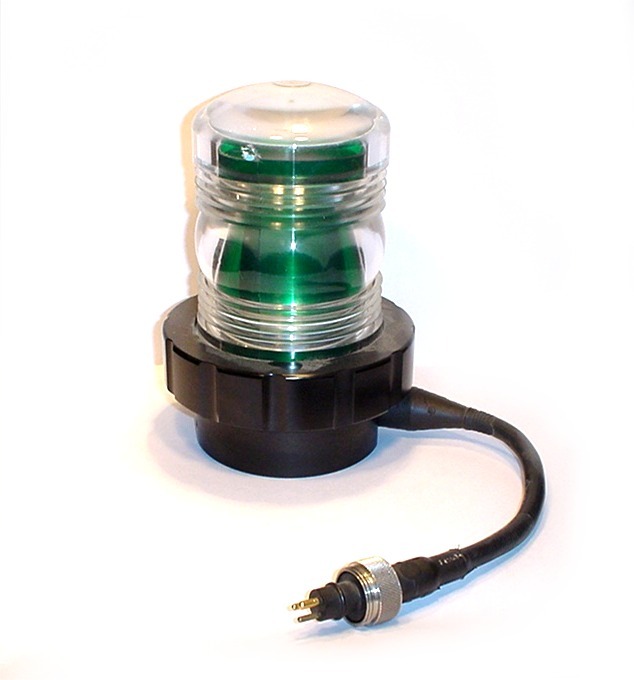 The Aquabeam submersible navigation light does not come with a connector but can be provided separately upon request.